Posted in Misc and tagged DART at 3:05 pm on November 9, 2018 by Bodger. Posted in Misc and tagged Bigotry., DART, safety at 2:09 pm on June 22, 2018 by Bodger. 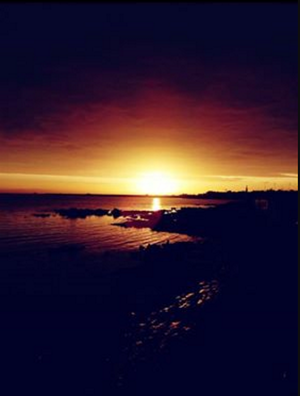 Glorious sunrise in the Paris or Venice of the North-east Kildare/South Meath region – (Kilcock). 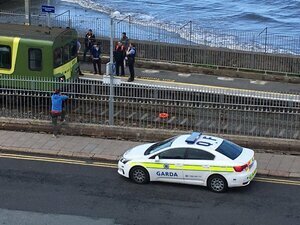 Posted in Misc and tagged DART, Seapoint, Sure Where Would You get It? at 9:00 am on September 26, 2017 by Broadsheet. 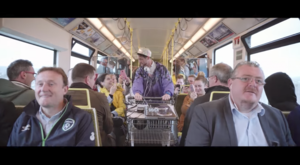 This week we had a cheeky little party on the Dart train in Dublin… early morning commuters got a free party they weren’t expecting! Posted in Misc and tagged dancing, DART, Lords Of Strut at 10:37 am on September 8, 2017 by Broadsheet. 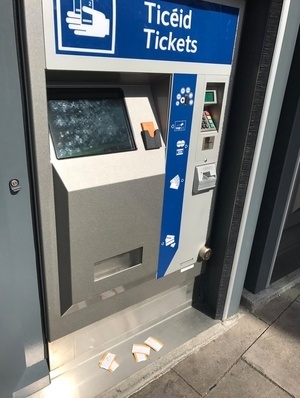 Posted in Misc and tagged DART, Tickets at 10:38 am on June 20, 2017 by Broadsheet. 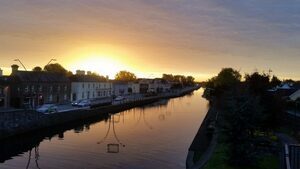 When is a commuter town not a commuter town? When the Dart says so. 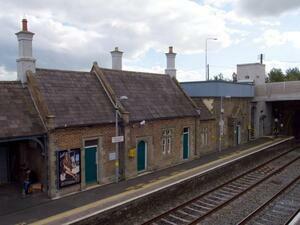 The Labour Party in Kildare is running a petition seeking fair train fares for Newbridge commuters. 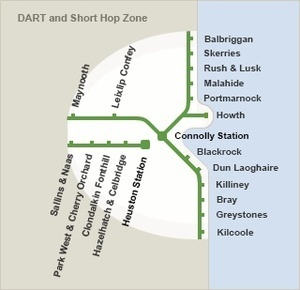 It currently costs €3.56 to travel from Heuston to Sallins. 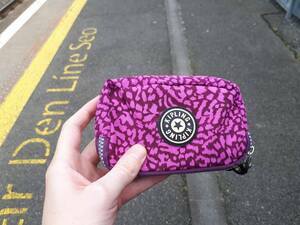 It costs almost 4 times more (€15.05) to go the final 7 minutes to Newbridge – a very expensive 7 minutes of travel. 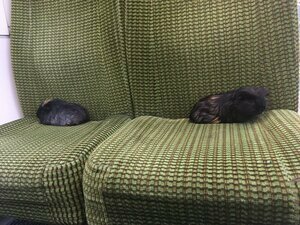 Posted in Misc and tagged DART, Kildare at 5:19 pm on March 22, 2017 by Broadsheet. No one can touch it because it’s hanging over the [potentially current-bearing] wire…. Posted in Misc and tagged Buoy, DART at 4:07 pm on August 19, 2016 by Aaron McAllorum. 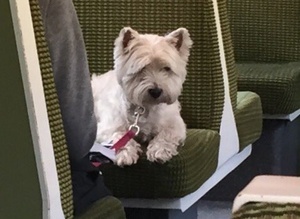 Doesn’t say anything about paws not being for seats I suppose. 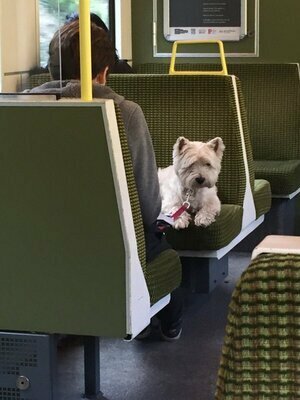 Posted in Misc and tagged DART, dog at 5:15 pm on March 29, 2016 by Broadsheet. 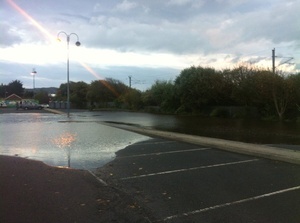 Greystones [Co Wicklow] ‘Dart station car park the past two mornings…. 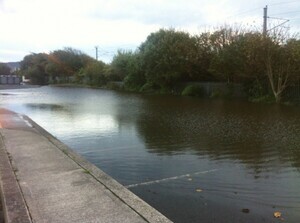 Posted in Misc and tagged DART, flood, Greystones at 10:01 am on November 10, 2015 by Broadsheet.